Benefit sure has taken its time to enter into the liquid foundation market. Famed for its statement lip hues and colourful boxed blushers, the San Francisco-based brand has always safely stuck to powder-based foundations. Now, after four years of research and development, the brand has launched its first ever liquid foundation. Meet Hello Flawless Oxygen Wow… but does the product live up to the name? Hello Flawless Oxygen Wow offers flawless, lightweight coverage with tons of extra benefits – in other words, it’s your new best friend! The product itself is a lightweight liquid, which disappears into the skin concealing redness, blemishes and dark circles without feeling heavy: you get buildable coverage with a natural dewy finish. 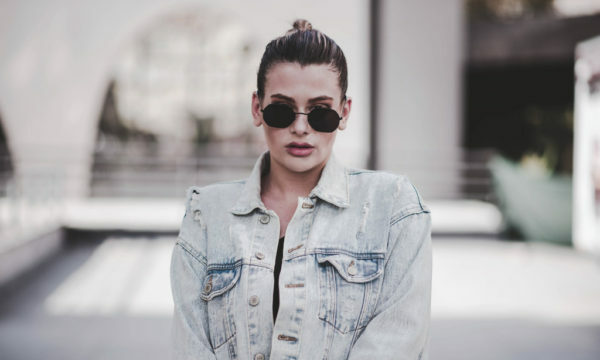 SPF 25 and an oil-free formula mean you have good sun protection and coverage without clogging pores. According to Benefit, the brightening formula not only offers the highest protection from the sun, but also increases cellular respiration to create a plumping effect. Light-diffusing properties bring more luminosity to your skin and it contains vitamins C and E for an anti-ageing effect. The foundation comes in nine shades, from ivory to nutmeg, that correspond with Benefit’s popular Hello Flawless Cover-Up Powder, so getting a colour match for existing fans will be extremely simple. 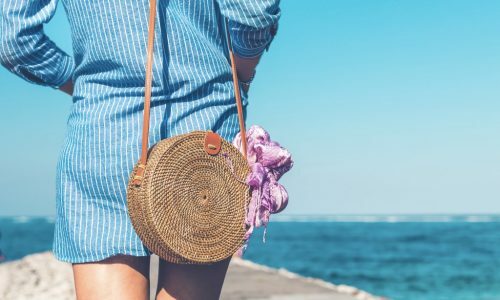 With summer fast approaching, every girl is hunting for those perfect multi-functional products to take on holiday and top of the list is a base that gives your skin a healthy and flawless look. 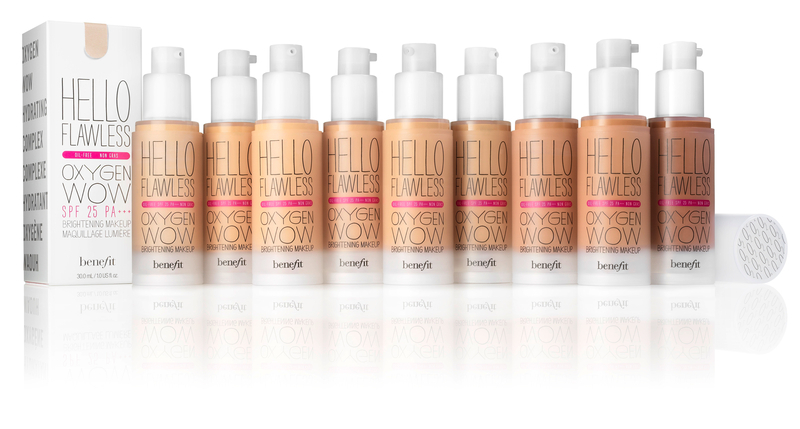 With Benefit’s Hello Flawless Oxygen Wow, your search for complexion perfection is officially over! To purchase Hello Flawless Oxygen Wow, visit your nearest Benefit counter or click here.